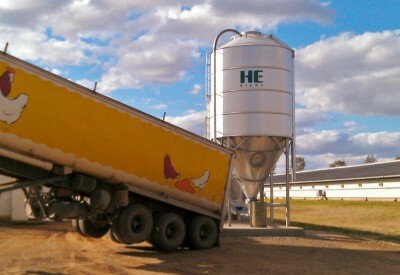 HE Silos offers clients specially designed silos for poultry, diary, piggeries and feedlot industries. We treat every 60 degree cone silo order as a special order, having clients fill out a specific design that includes all their necessary features they require. This ensures all our client needs are fully satisfied. Tonnes are based on weight of pellet at 650kg per cubic metre. The tonnage rate will vary depending on the weight of feed at time of filling. Pilot requirements may vary in locations where oversized road restrictions apply. 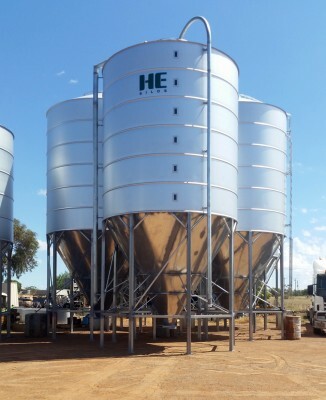 HE Silos is a family business - Australian Made & Owned We construct silos from 4 tonnes to cone base designs up to 500 tonnes and flat bottom units up to 1000 tonnes. 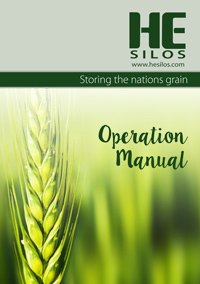 HE Silos manufacture ranges of products from Kit Silos, Superphosphate Silos, 60 Degree Cone Silos, Field Bins, and Cattle and Sheep Feeders. Contact our friendly team to find out how we can build the right silo for your needs.